Welcome to FK Bearings Incorporated, a World-Class, leading USA manufacturer of rod ends, spherical bearings, custom-engineered bearings and related products. Established in 1983, FK Bearings brings over 35 years of experience to the industrial and performance racing and off-road markets. Today, FK Bearings has grown to become the preferred source for motion control products to nearly every industry. Our products are utilized in various applications in: construction equipment, mining equipment, material handling, transportation and off-highway equipment, automation and robotics, machine tools, agricultural equipment, military vehicles, performance racing, and many others. 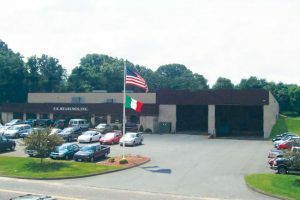 FK Bearings corporate headquarters and state-of-the-art manufacturing facility is located in Southington, Connecticut. Certified to the ISO 9001 quality management system, emphasizing process control, we promote and embrace continuous improvement throughout our entire organization. This dedication to continual improvement has allowed FK Bearings to maintain our position as the leader in motion control products. Fragola family owned and operated, we proudly put our name and reputation into every order we ship. We also have the largest ready to ship inventory in the industry, as well as stocked warehouses in Indiana and California responsive service anywhere in North America. We look forward to welcoming you into the FK family of satisfied customers. Visit our website, www.fkrodends.com or our social media sites on Facebook, Twitter, Instagram, YouTube, and LinkedIn to see the latest in FK news, events, success stories, and customer testimonials. We showcase on social media our commitment to racing and off-road as there are few applications that abuse products like the racers do, and we enjoy being in the Winner’s Circle with our FK teams. Our commitment to the racing industry has served to set the standards for achieving the highest quality in our products and unmatched customer service anywhere in the world. Thank you for your interest in FK Bearings!